Cited Paper: Bilgin, H. (2016). “Effects of soft storey irregularity on RC building response” 3rd International Balkans Conference on Challenges of Civil Engineering – 19-21 May 2016, Epoka University, Tirana, ALBANIA. ISBN: 978-9928-135-19-3, Page no: 136-143. Cited-4: Bilgin, H., & Uruçi, R. (2018). Effects of structural irregularities on low and mid-rise RC building response. CHALLENGE, 4(2), 33-44. Cited-3: Bilgin, H., & Huta, E. (2018). Earthquake performance assessment of low and mid-rise buildings: Emphasis on URM buildings in Albania. EARTHQUAKES AND STRUCTURES, 14(6), 599-614. Cited-2: Shaligram, J., & Parikh, K. B. (2018). Seismic Vulnerability Assessment of Setback Building with Open ground storey. International Journal of Innovative Knowledge Concepts, 6(Special: 2), 62-69. Cited-1: Shaligram, J., & Parikh, K. B. (2018). Study on Open Ground Storey Setback building under Earthquake Loading. International Journal of Innovative Knowledge Concepts, 6(Special: 2), 100-106. Cited Paper: Bilgin, H., (2013). “Fragility-based Assessment of Public Buildings in Turkey”, Engineering Structures, Volume 56, pages 1283-1294. Cited-21: Deringol, H., A. & Bilgin, H. (2018). Effects of the isolation parameters on the seismic response of steel frames. Earthquakes and Structures, Volume 15, Number 3, September 2018, pages 319-334. DOI: http://dx.doi.org/10.12989/eas.2018.15.3.319. Cited-20:Al Mamun, A., & Saatcioglu, M. (2018). Seismic fragility analysis of pre-1975 conventional concrete frame buildings in Canada. Canadian Journal of Civil Engineering, 45(999), 728-738. Cited-19: Baylon, M. B. (2018). Seismic Vulnerability Assessment of Adamson University Buildings As Built using Fragility Curves. Global Journal of Research In Engineering. Cited-18: Bilgin, H. (2018). Earthquake performance assessment of low and mid-rise buildings: Emphasis on URM buildings in Albania, Earthquakes and Structures, 14(6):599-614. Cited-17: Vafaei, M., & Alih, S. C. (2018). Seismic vulnerability of air traffic control towers. Natural Hazards, 90(2), 803-822. Cited-15: Cripstyani, M. P., Guntorojati, I., Pramudya, D., Kristiawan, S. A., & Sangadji, S. (2017, September). Seismic Risk Assessment of Bridges in Jakarta Transportation Networks using Incremental Dynamic Analysis. In IABSE Symposium Report (Vol. 109, No. 4, pp. 3394-3401). International Association for Bridge and Structural Engineering. Cited-14: Vafaei, M., & Alih, S. C. (2018). Seismic vulnerability of air traffic control towers. Natural Hazards, 90(2), 803-822. Cited-13: Karimi-Moridani, K., Zarfam, P., & Ghafory-Ashtiany, M. (2017). Seismic Failure Probability of a Curved Bridge Based on Analytical and Neural Network Approaches. Shock and Vibration, 2017. Cited-12: Tekeli, H., Dilmac, H., Demir, F., Gencoglu, M., & Guler, K. (2017). Shear stress indicator to predict seismic performance of residential RC buildings. COMPUTERS AND CONCRETE, 19(3), 283-291. Cited-11: Panam Zarfam and Komeyl Karimi moridani (2017). Seismic failure probability of a curved bridge based on analytical and neural network approaches. Shock and Vibration, Hindawi. Cited-10: Puspahati, M., Guntorojati, I., Kristiawan, S. A., & Sangadji, S.(2017). Asesmen Kerapuhan Seismik Jembatan dengan Incremental Dynamic Analysis. Cited-8: 孙国华, 顾强, 方有珍, & 杨文侠. (2017). 半刚接钢框架内填暗竖缝 RC 墙结构基于性态的地震易损性分析. 振动工程学报, (3), 410-419..
Cited-7: Ozmen, H. B. Developing hybrid parameters for measuring damage potential of earthquake records: case for RC building stock. Bulletin of Earthquake Engineering, 1-19. Cited-6: Palanci, M., Senel, S. M., & Kalkan, A (2017). Assessment of one story existing precast industrial buildings in Turkey based on fragility curves. Bulletin of Earthquake Engineering, 1-19. Cited-5: Bilgin, H., & Huta, E. (2016). Earthquake Performance Assessment of a Low-rise URM Building. 3rd International Balkans Conference on Challenges of Civil Engineering, 19-21 May 2016. Cited-3: Cripstyani, M. P., Kristiawan, S. A., & Purwanto, E. (2016, April). Influence of span-length on seismic vulnerability of reinforced concrete buildings based on their fragility curves. In Advances in Civil, Architectural, Structural and Constructional Engineering: Proceedings of the International Conference on Civil, Architectural, Structural and Constructional Engineering, Dong-A University, Busan, South Korea, August 21-23, 2015 (p. 289). CRC Press. Cited-2: Chaulagain, H., Rodrigues, H., Spacone, E., & Varum, H. (2015). Seismic response of current RC buildings in Kathmandu Valley. Struct. Eng. Mech,53(4), 791-818. Cited-1:Issa, M. G., & Salem, A. (2014). Development of Simulation-Based Fragility Relationships for the Seismic Risk Assessment of Buildings. Cited-69:Korkmaz, H. H. (2018). Overhangs in structural systems and earthquake behaviour from torsional irregularity point of view. Selçuk Üniversitesi Mühendislik, Bilim ve Teknoloji Dergisi, 6, (3), 406-416. Cited-68: El-Ftooh, K. A., Seleemah, A. A., Atta, A. A., & Taher, S. E. D. F. (2018). Does a Single ANN Properly Predict Pushover Response Parameters of Low-, Medium-and High-Rise Infilled RC Frames?. Arabian Journal for Science and Engineering, 1-23..
Cited-67: Korkmaz, K. A., & Carhoglu, A. I. (2018). Probabilistic seismic assessment of arch dams in Turkey. Scientific Research and Essays, 13(12), 123-142. Cited-66: Mehmet Palanci, Ali Haydar Kayhan, Ahmet Demir, (2018). “A statistical assessment on global drift ratio demands of mid-rise RC buildings using code-compatible real ground motion records”, May 2018, Bulletin of Earthquake Engineering, DOI: 10.1007/s10518-018-0384-y. Cited-65: El-Ftooh, K. A., Seleemah, A. A., Atta, A. A., & Taher, S. E. D. F. (2018). Does a Single ANN Properly Predict Pushover Response Parameters of Low-, Medium-and High-Rise Infilled RC Frames?. Arabian Journal for Science and Engineering, 1-23. Cited-64: Gungor, A. A. M., Kaya, E. A. A., & Tasdelen, S. (2017). Geophysical Surveys in Engineering Geology Investigations With Field Examples. Handbook of Research on Trends and Digital Advances in Engineering Geology, 257. Cited-63: Tekeli, H., Dilmac, H., Demir, F., Gencoglu, M., & Guler, K. (2017). Shear stress indicator to predict seismic performance of residential RC buildings. COMPUTERS AND CONCRETE, 19(3), 283-291. Cited-62: Çavdar, Ö., Çavdar, A., & Bayraktar, E. (2017). Earthquake Performance of Reinforced-Concrete Shear-Wall Structure Using Nonlinear Methods. Journal of Performance of Constructed Facilities, 32(1), 04017122. Cited-61: Bajoria, K. M., & Kaduskar, S. S. (2017, April). Modeling of a reinforced concrete beam using shape memory alloy as reinforcement bars. In SPIE Smart Structures and Materials+ Nondestructive Evaluation and Health Monitoring (pp. 101640S-101640S). International Society for Optics and Photonics. Cited-60: Meral, E., & İnel, M. (2016). Düşük ve orta yükseklikteki betonarme binaların yapısal parametre özelliklerinin değerlendirilmesi Evaluation of structural parameters properties of low and mid-rise reinforced concrete buildings. Pamukkale Univ Muh Bilim Derg, 22(6), 468-477, 2016. Cited-59: Palanci, M., Kalkan, A., & Senel, S. M. (2016). Investigation of shear effects on the capacity and demand estimation of RC buildings. Structural Engineering and Mechanics, 60(6), 1021-1038. Cited-58: Meral, E., & İnel, M., (2016). “Evaluation of structural parameters properties of low and mid-rise reinforced concrete buildings”. Pamukkale University Journal of Engineering Sciences. doi: 10.5505/pajes.2016.29291. 22(6), 468-477. Cited-57: Kuleni, F. (2016). Seismic Behavior of Reinforced Concrete Buildings with Mass and Stiffness Irregularities (Doctoral dissertation, AAU). Cited-56: Inel, M., & Meral, E. (2016). Seismic performance of RC buildings subjected to past earthquakes in Turkey. EARTHQUAKES AND STRUCTURES, 11(3), 483-503. Cited-53: Bajoria, K. M., & Kaduskar, S. S. (2016, April). Load carrying capacity of RCC beams by replacing steel reinforcement bars with shape memory alloy bars. In SPIE Smart Structures and Materials+ Nondestructive Evaluation and Health Monitoring (pp. 97990S-97990S). International Society for Optics and Photonics. Cited-52: Sezer R, Aksoylu C, Kara, N, “Investigation of behavior of structures according to different local site classes for L type reinforced concrete framed building having A1 and A3 irregularities “, The Online Journal of Science and Technology – January 2016 Volume 6, Issue 1, pg 21-32, January, 2016. Cited-51: Tekeli, H., & Atimtay, E. (2015). A simplified non-linear procedure for buildings with shear walls. Proceedings of the Institution of Civil Engineers-Structures and Buildings, 168(1), 56-66. Cited-50: E. Akyol, S. Tasdelen, A. Aydin, “Adverse Effects of Soil Grouting on Sandy Soils”, Applied Mechanics and Materials, Vol. 802, pp. 3-9, Oct. 2015. Cited-49: Çavdar, Ö. and Bayraktar, A. ( 2015 ). “Nonlinear Earthquake Performance Evaluation of a Structure Collapsed during the Van, Turkey, Earthquake on October 23, 2011.” J. Perform. Constr. Facil. , 10.1061/(ASCE)CF.1943-5509.0000816 , 04015092. Cited-47: Bajoria, K. M., & Kaduskar, S. S. (2015, April). Improvement in performance of reinforced concrete structures using shape memory alloys. In SPIE Smart Structures and Materials+ Nondestructive Evaluation and Health Monitoring(pp. 94312O-94312O). International Society for Optics and Photonics. Cited-46: Ozmen, H. B., M. Inel, S. M. Senel, and A. H. Kayhan. “Structure-Concrete.”. (2015, March). Load carrying system characteristics of existing Turkish RC building stock. International Journal of Civil Engineering, Vol 13, No:1. Transaction A: Civil Engineering. Cited-45: Çavdar, Ö., & Bayraktar, A. (2014). Pushover and nonlinear time history analysis evaluation of a RC building collapsed during the Van (Turkey) earthquake on October 23, 2011. Natural hazards, 70(1), 657-673. Cited-44: Ergun, S., & Demir, A. (2014). Effect of Hysteretic Models on Seismic Behavior of Existing RC Structures. Journal of Performance of Constructed Facilities. Cited-43: Demir, A., Başaran, H., & Bağci, M. (2014). A Comparative Assessment of Existing Structure by Performance Based Analyses. American Journal of Engineering, Technology and Society, 1(1), 1. Cited-42: Yang Youfa, Chen Ya, Ling Ling, Li Shuai. (2014). Study of seismic mitigation effect of viscoelastic frame structure with special-shaped columns connected with ground by multiple-floor in mountain region. DOI: 10. 13204/j.gyjz201411018, (In Chinese). Cited-41: Zhou Wei, Chen Zhi-hua, Dong Lu.Lu. (2014). Analysis of seismic performance of frame structure with coupled effect of its stairs. doi: 10. 3963/j.issn.1674-6066. 2014. 04. 034. http://www.cqvip.com/read/read.aspx?id=662130989, (In Chinese). Cited-39: H. B.Ozmen, M. Inel, E. Akyol, B. T. Cayci, H. Un, (2014), Evaluations on the relation of RC building damages with structural parameters after May 19, 2011 Simav (Turkey) earthquake, Natural Hazards, 71:1, 63-84. Cited-38: Ozmen, H. B., Inel, M., & Meral, E. (2014). Evaluation of the main parameters affecting seismic performance of the RC buildings. Sadhana, 39(2), 437-450. Cited-37: Ö. Çavdar, A. Bayraktar, (2014), Pushover and nonlinear time history analysis evaluation of a RC building collapsed during the Van (Turkey) earthquake on October, Natural Hazards, 23, 70:1, 657-673. Cited-36: H. Bilgin, (2013), Fragility-based assessment of public buildings in Turkey, Engineering Structures, 56, 1283-1294. Cited-35: H. Sun, , A. Zhang, J. Cao, (2013), Earthquake response analysis for stairs about frame structure, Engineering Failure Analysis, 33, 490-496. Cited-34: M. H. Arslan, M. Olgun, M. A. Koroglu, I. H. Erkan, A. Koken, O. Tan, (2013), 19 May 2011 K¨utahya – Simav earthquake and evaluation of existing sample RC buildings according to the TEC-2007 criteria, Nat. Hazards Earth Syst. Sci., 13, 505–522. Cited-33: M. Tekin, A. Gürbüz, A. Demir, (2013), COMPARISON OF NONLINEAR STATIC AND DYNAMIC ANALYSES ON A R/C BUILDING, Mathematical and Computational Applications, 18:3, 264-272. Cited-32: Y. Xin-lei, X. Wei-chen, (2013), MONOTONIC TEST AND CALCULATION METHOD OF CONCRETE FRAME WITH PRECAST BEAMS AND CAST-IN-PLACE COLUMNS. Cited-31: M. INEL, H. B. ÖZMEN, B. T. ÇAYCI, (2013), Evaluation of Reasons of the Damages After Simav and Van (2011) Earthquakes, Pamukkale University Journal of Engineering Sciences, 19:6, 256-265. Cited-30: Y. Xin-lei1, X. Wei-chen, (2013), MONOTONIC TEST AND CALCULATION METHOD OF CONCRETE FRAME WITH PRECAST BEAMS AND CAST-IN-PLACE COLUMNS, ENGINEERING MECHANICS, 30:10. Cited-29: L. Hui, X. Y. Suqian, (2013), Analysis of seismic research status of stairwell, Ningbo Institute of Architectural Engineering Construction Co., Ltd. of modern urban transport development 315100. Cited-28:A. Gürbüz, M. Tekin, (2013) , MEVCUT BETONARME BİR BİNANIN PERDE DUVARLAR KULLANILARAK DEPLASMANA DAYALI YÖNTEMLE GÜÇLENDİRİLMESİ, 2. Türkiye Deprem Mühendisliği ve Sismoloji Konferansı, MKÜ – HATAY. Cited-27: M. Inel, H. B. Ozmen, E. Akyol, (2013), Observations on the building damages after 19 May 2011 Simav (Turkey) earthquake, Bulletin of Earthquake Engineering, 11:1, 255-283. Cited-26: A. Dogangün, A. Ural, H. Sezen, Y. Güney, F. K. Firat, (2013), The 2011 Earthquake in Simav, Turkey and Seismic Damage to Reinforced Concrete Buildings, Buildings 2013, 3, 173-190. Cited-25: L. Zu-qiang, X. Jian-yang, G. Hong-peng, ZH. Hong-tie, (2013), EXPERIMENTAL STUDY ON STIFFNESS AND LOADING CAPACITY OF SOLID STEEL REINFORCED CONCRETE FRAME WITH SPECIAL-SHAPED COLUMNS , ENGINEERING MECHANICS, 30:10. 1000-4750. Cited-24: A. CINITHA , P.K. UMESHA, N.R. IYER , (2012), Nonlinear Static Analysis to Assess Seismic Performance and Vulnerability of Code-Conforming RC Buildings, WSEAS TRANSACTIONS on APPLIED and THEORETICAL MECHANICS, 7:1, 2224-3429. Cited-23: R. Kumar, Y. Singh, R. Deoliya, (2012), Effect of Design and Detailing Deficiencies on Seismic Performance and Vulnerability of Indian RC Frame Buildings, The 15th World Conference on Earthquake Engineering, 2012. Cited-22: H. B. Ozmen, M. Inel, (2012), Effect of Material Strength and Reinforcement Detailing on Displacement Capacity of Existing RC Buildings, The 15th World Conference on Earthquake Engineering, 2012. Cited-21: E. Akyol, (2012), Strengthening foundations of seismically weak buildings on sandy soils in Denizli, Turkey, Environmental Earth Sciences, 66:5, 1415-1421. Cited-20: M. Sh. Alam, M. Moni, S. Tesfamariam, (2012), Seismic overstrength and ductility of concrete buildings reinforced with superelastic shape memory alloy rebar, Engineering Structures, 34, 8-20. Cited-19: O. Murat, Field Reconnaissance of the October 23, (2011), Van, Turkey, Earthquake: Lessons from Structural Damages, J. Perform. Constr. Facil. , 10.1061/ (ASCE) CF.1943-5509.0000532, 04014125. Cited-18: P. H. Tsai, D. D’Ayala, (2011), Performance-based seismic assessment method for Taiwanese historic Dieh-Dou timber structures, Earthquake Engineering & Structural Dynamics, 40:7, 709-729. Cited-17: H. B. Özmen1, M. İnel, (2011), BETONARME YAPILARDA MALZEME DAYANIMI VE DETAYLANDIRMA ÖZELLİKLERİNİN SİSMİK HASAR ÜZERİNE ETKİSİNİN DEĞERLENDİRİLMESİ, 1. Türkiye Deprem Mühendisliği ve Sismoloji Konferansı, ODTÜ – ANKARA. Cited-16: K. A. Korkmaz, A. Karahan, (2011), Investigation of Seismic Behavior and Infill Wall Effects for Prefabricated Industrial Buildings in Turkey, J. Perform. Const. Facil., 25:3, 158–171. Cited-15: M. İnel1, H.B. Özmen, (2011), GERÇEK İVME KAYITLARI VE 2007 DEPREM YÖNETMELİĞİ DOĞRUSAL ELASTİK OLMAYAN DEPLASMAN TALEBİ DEĞERLERİNİN KARŞILAŞTIRILMASI, 1. Türkiye Deprem Mühendisliği ve Sismoloji Konferansı, ODTÜ – ANKARA. Cited-14: P. Sarkara, A. M. Prasadb, D. Menon, (2010), Vertical geometric irregularity in stepped building frames, Engineering Structures, 32:8, 2175-2182. Cited-13: M. H. Arslan, (2010), An evaluation of effective design parameters on earthquake performance of RC buildings using neural networks, Engineering Structures, 32:7, 1888-1898. Cited-12: H. H. Korkmaz, S. Z. Korkmaz, M.S. Donduren, (2010), Earthquake hazard and damage on traditional rural structures in Turkey, Natural Hazards and Earth System Science, 10:3, 605-622. Cited-11: K. A. Korkmaz, (2010), Integrated seismic hazard evaluation and disaster management approach for Turkey, Environmental Earth Sciences, 61:3, 467-476. Cited-10: S. Adanur, (2010), Performance of masonry buildings during the 20 and 27 December 2007 Bala (Ankara) earthquakes in Turkey, Natural Hazards and Earth System Sciences, 10 , 2547-2556. Cited-9: Ü. S. YILMAZ, M. H. ARSLAN, M. Y. KALTAKCI, (2010), Betonarme Dış Perde Duvarla Güçlendirilmiş Çerçevelerin Dayanım Parametrelerinin Deneysel Ve Analitik Yöntemlerle İrdelenmesi, TÜBAV BİLİM DERGİSİ, 3:1, 1308 – 4941. Cited-8: P. H. Tsai, (2009), Seismic Evaluation of Traditional Timber Structures in Taiwan. Thesis (Doctor of Philosophy (PhD)). University of Bath. Cited-7: J. H. Zheng, N. Wang Liping, L. Liping L. Jianwei, L. Yingmin (2008), 5.12 Wenchuan Earthquake damage in Mianyang urban housing statistics and analysis, Chongqing Architecture University , Building Structures, Section 5. Cited-6: X. Chen, Y. Xinlei, W. Yun D. Z. Rong, (2008), Cross-situ experimental study on seismic behavior of precast beam column six two, Building Structures, Section 6. Cited-5: W. Migda , Study on deformed steel columns subjected to impact load due to soft-storey failure in buildings, during earthquakes, Thesis (Doctor of Philosophy (PhD)), Gdansk University of Technology. Cited-4: M. A. Altuntop, T. Akis, B. Günes, Analysis of Building Structures with Soft Stories, MASTER OF SCIENCE THESIS, Department of Civil Engineering, ATILIM UNIVERSITY. Cited-3: Q. Ai, Consider the impact of stairs reinforced concrete frame structure seismic response analysis, Fuzhou University: Natural Science, 259-265. Cited-2: Y. Ran, W.F. Kou, G. H. Xing, A Study of the Earthquake-Resistance Performance of Frame Structures with Different Types of Stairs, Advanced Materials Research, 510-513. Cited-1: M. Inel, H. B. Ozmen, B. T. Cayci, Evaluation of the Relationship Between Seismic Damage and Structural Properties of Existing RC Buildings, The 15th World Conference on Earthquake Engineering, 2012. Cited Paper: H. Kaplan, H. Bilgin, S. Yilmaz, H. Binici, A. Öztas, (2010), Structural damages of L’Aquila (Italy) earthquake, Natural Hazards and Earth System Sciences, 10, 499-507. Cited-35: Effect of strengthening RC beam-column joints using FRP material based on fragility concept, February 2016, DOI: 10.13140/RG.2.2.17729.20323, Thesis for Master, Advisor: Habib Akbarzadeh Bengar. Cited-35: Bilgin, H. (2018). Earthquake performance assessment of low and mid-rise buildings: Emphasis on URM buildings in Albania, Earthquakes and Structures, 14(6):599-614. Cited-34: O’Reilly, G. J., Perrone, D., Fox, M., Monteiro, R., & Filiatrault, A. (2018). Seismic assessment and loss estimation of existing school buildings in Italy. Engineering Structures, 168, 142-162. Cited-33:Ahmad, N., Shahzad, A., Ali, Q., Rizwan, M., & Khan, A. N. (2018). Seismic fragility functions for code compliant and non-compliant RC SMRF structures in Pakistan. Bulletin of Earthquake Engineering, 1-29. Cited-32: Papa, G. S., & Silva, B. (2018). Assessment of Post-Earthquake Damage: St. Salvatore Church in Acquapagana, Central Italy. Buildings, 8(3), 45. Cited-31: Öztaş, A., Ali, A. L. B. H., Ibrahim, A. L. I., & Ahmad, A. L. T. (2018). Darbandikan Earthquake Investigation Report. Cited-30: Elyamani, A., & Roca, P. (2018). A REVIEW ON THE STUDY OF HISTORICAL STRUCTURES USING INTEGRATED INVESTIGATION ACTIVITIES FOR SEISMIC SAFETY ASSESSMENT. PART I: DYNAMIC INVESTIGATION. Cited-29: Marastoni, D., Benedetti, A., Pelà, L., & Pignagnoli, G. (2017). Torque Penetrometric Test for the in-situ characterisation of historical mortars: fracture mechanics interpretation and experimental validation. Construction and Building Materials, 157, 509-520. Cited-28: Dang, C. T., & Dinh, N. H. (2017). Experimental Study on the Structural Performance of Beam-Column Joints in Old Buildings without Designed Shear Reinforcement under Earthquake. In Materials Science Forum (Vol. 902, pp. 33-40). Trans Tech Publications. Cited-27: Bilgin, H. & Frangu, I. Int J Adv Struct Eng (2017). https://doi.org/10.1007/s40091-017-0164-y. Cited-26: Pohoryles, D. A. (2017). Realistic FRP seismic strengthening schemes for interior reinforced concrete beam-column joints (Doctoral dissertation, UCL (University College London). Cited-25: Choi, K. K., Dinh, N. H., & Kim, J. C. (2017). Behaviour of non-seismic detailed reinforced-concrete beam–column connections. Proceedings of the Institution of Civil Engineers-Structures and Buildings, 1-17. Cited-24: Magni, M., Fraboni, R., & Marincioni, F. (2017). Emergency Preparedness and Management at the University of L’aquila (Central Italy) and the Role of Students’ Associations in the April 6th 2009 Earthquake. PLOS Currents Disasters..
Cited-23: Silva, L. C., Milani, G., & Lourenço, P. B. (2016). A discrete macro-model homogenized with a holonomic approach for the nonlinear static analysis of out-of-plane loaded masonry. Cited-22: Sebastiani, P. E., Petrini, F., & Bontempi, F. (2016). Back calculation and model calibration for earthquake damaged bridges-a general procedure and its application to a highway viaduct. Structure and Infrastructure Engineering,12(8), 949-963. Cited-21:Bilgin, H. (2015). Generation of Fragility Curves for Typical RC Health Care Facilities: Emphasis on Hospitals in Turkey. Journal of Performance of Constructed Facilities, 30(3), 04015056. Cited-20: Ferreira, T. M., Costa, A. A., & Costa, A. (2015). Analysis of the Out-Of-Plane Seismic Behavior of Unreinforced Masonry: A Literature Review.International Journal of Architectural Heritage, 9(8), 949-972. Cited-19: Daniel A. Pohoryles, José Melo, Tiziana Rossetto, Dina Francesca D’Ayala. (2015). “Experimental Investigation on the Seismic FRP Retrofit of Realistic Full-Scale RC Beam-Column Joints”. Second ATC & SEI Conference on Improving the Seismic Performance of Existing Buildings and Other Structures, At San Francisco, December. Cited-18: Forino, G. (2015). Disaster recovery: narrating the resilience process in the reconstruction of L’Aquila (Italy). Geografisk Tidsskrift-Danish Journal of Geography, (ahead-of-print), 1-13. Cited-17: Samiullah, Q. A. Z. I. (2013). COMPORTEMENT MÉCANIQUE SOUS SOLLICITATIONS ALTERNÉES DE VOILES BÉTON ARMÉ RENFORCÉS PAR MATÉRIAUX COMPOSITES (Doctoral dissertation, Université d’Angers). Cited-16: AFerreira, Tiago Miguel, Alexandre A. Costa, and Aníbal Costa. “Analysis of the out-of-plane seismic behaviour of unreinforced masonry: A literature review.”International Journal of Architectural Heritage just-accepted (2014). Cited-15: A. Benedettia, L. Landia, D. Giuseppe, (2014), Displacement-Based Design of an Energy Dissipating System for Seismic Upgrading of Existing Masonry Structures, Journal of Earthquake Engineering, 18:4, 2014. Cited-14: G. E. Machlis, K. Ludwig, (2014), Science During Crisis: The Application of Interdisciplinary and Strategic Science During Major Environmental Crises, Understanding Society and Natural Resources, 47-65. Cited-13: Qazi, S. (2013). Mechanical behavior of RC walls under seismic activity strenghtened with CFRP (Doctoral dissertation, INSA de Lyon)..
Cited-12: G. Brandonisio, , G. Lucibello, E. Mele, A. De Luca, (2013), Damage and performance evaluation of masonry churches in the 2009 L’Aquila earthquake, Engineering Failure Analysis, 34, 2013. Cited-11: S. QAZI, (2013), COMPORTEMENT MÉCANIQUE SOUS SOLLICITATIONS ALTERNÉES DE VOILES BÉTON ARMÉ RENFORCÉS PAR MATÉRIAUX COMPOSITES. Cited-10: Y. S. Tama, (2012), Structural damages observed in state buildings after Simav/Turkey earthquake occurred on 19 May 2011, Natural Hazards and Earth System Sciences, 12, 2709-2718. Cited-9: F. Marincionia, F. Appiottia, M. Ferrettib, C. Antinoria, P. Melonarob, A. Pusceddua, R. Oreficini-Rosi, (2012), Perception and Communication of Seismic Risk: The 6 April 2009 L’Aquila Earthquake Case Study, Earthquake Spectra, 28:1, 159-183. Cited-8: C. Pesaresi1, G. Casagrande, R. Morri, (2012), Testing Geographical Methodology and Tools for the Study of Territories Damaged by Earthquakes. The Case of L’Aquila and Other Localities Three Years after the April 6th 2009 Event, International Journal of Geosciences, 4:1. Cited-7: H. Bilgin, O. Korini, (2012), Seismic capacity evaluation of unreinforced masonry residential buildings in Albania, Natural Hazards and Earth System Sciences, 12, 3753-3764. Cited-6: B. NEIGEBAUER, (2012), The role of structural homogeneity in seismically active historical centers of Abruzzo: Castel del Monte, Castelvecchio di Calvisio, Santo Stefano di Sessanio, Villa Santa Lucia degli Abruzzi, Laurea Magistrale (Masters) in Architecture, Faculty of Architecture and Society, POLITECNICO DI MILANO. Cited-5: V. Gattulli, (2011), Role and Perspective of Computational Structural Analysis for Sustainable Reconstruction and Seismic Risk Mitigation after an Earthquake, Civil and Structural Computational Technology, 1-34. Cited-4: N. Ismaila, R. B. Petersenb, M. J. Masiab, J. M. Ingham, (2011), Diagonal shear behaviour of unreinforced masonry wallettes strengthened using twisted steel bars, Construction and Building Materials, 25:12, 4386-4393. Cited-3: N. Ismail, J. M. Ingham, (2011), Cyclic out of plane Post-tensioning Seismic Retrofit for Slender Unreinforced Masonry Walls, The Eleventh North American Masonry Conference, Minneapolis, Minnesota, 05 Jun 2011 – 08 Jun 2011. Cited-2: N. Ismail, P. T. Laursen, A. E. Schultz, J. M. Ingham, (2011), Cyclic out-of-plane behaviour of post-tensioned clay brick masonry, The Eleventh North American Masonry Conference, Minneapolis, Minnesota, 05 Jun 2011 – 08 Jun 2011. Cited-1: N. Ismail, R. B. Petersen, M. J. Masia, J. M. Ingham, DIAGONAL SHEAR STRENGTH OF UNREINFORCED MASONRY WALLETTES RETROFITTED USING TWISTED STEEL BARS, Construction and Building Materials, 25:12, 4386-4393. Cited Paper:M. Inel, H. Bilgin, H. B. Ozmen, (2008), Performance of mid-rise reinforced concrete buildings during recent earthquakes in Turkey, TeknikDergi, 19:1, 4319-4331. Cited-13: DOĞAN, A., KARACA, N., & KARADENİZ, T. “ESKİ VE YENİ DEPREM YÖNETMELİĞİNE GÖRE YAPILMIŞ İKİ YAPIDA EK KAT İLAVESİNİN 2007 DEPREM YÖNETMELİĞİ İLE İRDELENMESİ.”4. Uluslararası Deprem Mühendisliği ve Sismoloji Konferansı 11-13 Ekim 2017 – ANADOLU ÜNİVERSİTESİ – ESKİŞEHİR. Cited-12: Türkay, A., & Güler, K. (2017). Bir Okul Binasının Tasarımı ve Deprem Performansının Değerlendirilmesi. Uluslararası Yenilikçi Mühendislik Uygulamaları Dergisi, 1(2), 27-37. Cited-11: Fatih Kürşat FIRAT, (2016), Mechanical Properties of Reinforcing Steel in R/C: Uncertainty Analysis and Proposal of a New Material Factor , Arabian Journal for Science and Engineering, DOI: 10.1007/s13369-016-2077-7, 9 March 2016, pp:1-10. Cited-10: Ozmen, H. B., Inel, M., Senel, S. M., & Kayhan, A. H (2015). Load carrying system characteristics of existing Turkish RC building stock Structure-Concrete. Cited-8: H. B. Ozmen, M. Inel, E. Akyol, B. T. Cayci, H. Un, (2014), Evaluations on the relation of RC building damages with structural parameters after May 19, 2011 Simav (Turkey) earthquake, Natural Hazards, 71:1, 63-84. Cited-7: H. B. Ozmen, M. Inel, E. Meral, (2014), Evaluation of the main parameters affecting seismic performance of the RC buildings, Sadhana, 39:2, 437-450. Cited-5: Ozmen, Hayri Baytan, Mehmet Inel, and Bayram Tanik Cayci. “Engineering implications of the RC building damages after 2011 Van earthquakes.”Earthquakes and Structures 5.3 (2013): 297-319. Cited-4: M. Inel, H. B. Ozmen, E. Akyol, (2013), Observations on the building damages after 19 May 2011 Simav (Turkey) earthquake, Bulletin of Earthquake Engineering, 11:1, 255-283. Cited-3: M. İNEL, H. B. ÖZMEN, B. T. ÇAYCI, (2013), EVALUATION OF REASONS OF THE DAMAGES AFTER SIMAV AND VAN (2011) EARTHQUAKES, Pamukkale University Journal of Engineering Sciences, 19:6, 256-265. Cited-2: H. B. Ozmen, (2013), Relation between the rapid evaluation method scores and the damage states of buildings, Natural Hazards and Earth System Sciences, 13, 763-770. Cited-1: M. Inel, H. B. Ozmen, B. T. Cayci, (2012), Evaluation of the Relationship Between Seismic Damage and Structural Properties of Existing RC Buildings, The 15th World Conference on Earthquake Engineering, 2012. Cited Paper: M. Inel, H. Bilgin, H. B. Ozmen, (2008), Seismic capacity evaluation of school buildings in Turkey, Proceedings of the ICE-Structures and Buildings, 161:3, 147-159. Cited-10: El-Ftooh, K. A., Seleemah, A. A., Atta, A. A., & Taher, S. E. D. F. (2018). Does a Single ANN Properly Predict Pushover Response Parameters of Low-, Medium-and High-Rise Infilled RC Frames?. Arabian Journal for Science and Engineering, 1-23. Cited-9: Bilgin, H. & Frangu, I. Int J Adv Struct Eng (2017). https://doi.org/10.1007/s40091-017-0164-y. Cited-8: Kazaz, I. (2016). Seismic deformation demands on rectangular structural walls in frame-wall systems. Earthquakes and Structures, 10(2), 329-350. Cited-7: Tekeli, H., & Atimtay, E. (2015). A simplified non-linear procedure for buildings with shear walls. Proceedings of the Institution of Civil Engineers-Structures and Buildings, 168(1), 56-66. Cited-6: Nazri, F. M. (2015). Prediction of The Collapse Load for Moment-Resisting Steel Frame Structure Under Earthquake Forces (Penerbit USM). Penerbit USM. Cited-5: H. B. Ozmen, (2013), Relation between the rapid evaluation method scores and the damage states of buildings, Natural Hazards and Earth System Sciences, 13, 763-770. Cited-4: F. M. Nazri, N. A. Alexander, (2012), Determining yield and ultimate loads for moment-resisting frame buildings, Proceedings of the ICE – Structures and Buildings, 165:2, 57-67. Cited-3: S. Yilmaz, Y. S. Tama, H. Bilgin, (2012), Seismic performance evaluation of unreinforced masonry school buildings in Turkey, Journal of Vibration and Control. Cited-2: J. Peng, J. C. M. Ho, (2012), Strain gradient effects on concrete stress–strain curve, Proceedings of the ICE – Structures and Buildings, 165:10, 543-565. Cited-1: Inel, M., Ozmen, H. B., & Bilgin, H. (2008). Seismic performance evaluation of school buildings in Turkey. Structural Engineering and Mechanics, 30(5), 535-558. Cited Paper: M. Inel, H. B. Ozmen, H. Bilgin, (2008), Seismic performance evaluation of school buildings in Turkey, Structural Engineering and Mechanics, 30:5, 535-558. Cited-12:El-Ftooh, K. A., Seleemah, A. A., Atta, A. A., & Taher, S. E. D. F. (2018). Does a Single ANN Properly Predict Pushover Response Parameters of Low-, Medium-and High-Rise Infilled RC Frames?. Arabian Journal for Science and Engineering, 1-23. Cited-11: Kamanli, M., & Unal, A. (2017). Behaviour of Strengthened RC Frames with Eccentric Steel Braced Frames. In E3S Web of Conferences (Vol. 19, p. 03030). EDP Sciences. Cited-10: Bilgin, H., & Huta, E. (2016). Earthquake Performance Assessment of a Low-rise URM Building. 3rd International Balkans Conference on Challenges of Civil Engineering, 19-21 May 2016, Epoka University, Tirana, Albania. Cited-9: Bilgin, H. (2015). “Generation of Fragility Curves for Typical RC Health Care Facilities: Emphasis on Hospitals in Turkey.” J. Perform. Constr. Facil., 10.1061/(ASCE)CF.1943-5509.0000806, 04015056. Cited-8: Tekeli, H., & Atimtay, E. (2015). A simplified non-linear procedure for buildings with shear walls. Proceedings of the Institution of Civil Engineers-Structures and Buildings, 168(1), 56-66. Cited-7: Ozmen, H. B., M. Inel, S. M. Senel, and A. H. Kayhan. “Structure-Concrete.”. (2015, March). Load carrying system characteristics of existing Turkish RC building stock. International Journal of Civil Engineering, Vol 13, No:1. Transaction A: Civil Engineering. Cited-6: H. B. Ozmen, M. Inel, E. Meral, (2014), Evaluation of the main parameters affecting seismic performance of the RC buildings, Sadhana, 39:2, 437-450. Cited-5: E. Akyol, A. Aydın, M. Alkan, G. Hazer, (2014), Sismik ve Geoteknik Parametrelerin Yapılaşmaya Etkisi: Denizli Örneği, Fen Bilimleri Dergisi, 4:1, 36-46. Cited-4:Ozmen, H. B., Inel, M., & Cayci, B. T. (2013). Engineering implications of the RC building damages after 2011 Van earthquakes. Earthquakes and Structures,5(3), 297-319. Cited-2: Ho, J. C. M., & Zhou, K. J. H. (2011). Concurrent flexural strength and deformability design of high-performance concrete beams. Structural Engineering and Mechanics, 40(4), 541-562. Cited-1: Ho, J. C. M. (2011). Inelastic design of high-axially loaded concrete columns in moderate seismicity regions. Structural Engineering and Mechanics, 39(4), 559-578. Cited Paper: H Bilgin, O Korini, (2012), Seismic capacity evaluation of unreinforced masonry residential buildings in Albania, Natural Hazards and Earth System Science, 12:12, 3753-3764. Cited-10: Pino Mendoza, M. I., Paico, I., & Isabel, P. (2018). Factibilidad técnica y económica de utilizar aislamiento sísmico en hospitales peruanos existentes. Cited-9: Leti, M., and Bilgin, H., 2017. “Strengthening of the masonry bearing building stock in Albania with composite materials”, 2017 ICCE, International Conference of Civil Engineering, Pg:664-670. 12-14 October 2017, Tirana, Albania. Cited-8: Rihar, J., 2016. Projektiranje zidanih stavb na ciljno potresno tveganje. M.Sc. Thesis. Ljubljana, University of Ljubljana, Faculty of civil and geodetic engineering. (supervisor Dolšek, M.): 73 pp. Cited-7: Bilgin, H., & Huta, E. (2016). Earthquake Performance Assessment of a Low-rise URM Building. 3rd International Balkans Conference on Challenges of Civil Engineering, 19-21 May, 2016. Cited-6: Merita Guri, Diana Lluka, Egla Luca. (2015). Assessment and Improvement of Seismic Performance of the Masonry Bearing Building Stock in Albania. International Journal of Engineering Research & Technology, Volume. 4 – Issue. 10 , October – 2015. e-ISSN: 2278-0181. Cited-5: S Ivorra, V Brotóns, D Foti, M Diaferio, (2015), A preliminary approach of dynamic identification of slender buildings by neuronal networks, International Journal of Non-Linear Mechanics, doi:10.1016/j.ijnonlinmec.2015.11.009. Cited-4: D. Bru , S. Ivorra , F.J. Baeza , R. Reynau and D. Foti , (2015), OMA DYNAMIC IDENTIFICATION OF A MASONRY CHIMNEY WITH SEVERE CRACKING CONDITION, 6 th International Operational Modal Analysis Conference, 12-15 May 2015. Cited-2: S. Ivorra, F. J. Baeza, D. Bru, F. B. Varona, (2014), Seismic Behavior of a Masonry Chimney with Severe Cracking Condition: Preliminary Study, Materials Science and Engineering, 117-122. Cited-1: C. Adam, R. Heuer, W. Lenhardt, (2013), Vienna Congress on Recent Advances in Earthquake Engineering and Structural Dynamics 2013 (VEESD 2013) 28-30 August 2013, Vienna, Austria, 205. Cited Paper: H Bilgin, I. Frangu, (2012), Evaluation of sismic analysis proceduresfor seismic actions : A comparative Study between Eurocode 8 and KTP-89, International Students’ Conference of Civil Engineering, ISCCE, 2012. Cited-2: C. Adam, R. Heuer, W. Lenhardt, (2013), Vienna Congress on Recent Advances in Earthquake Engineering and Structural Dynamics 2013 (VEESD 2013) 28-30 August 2013, Vienna, Austria, 205. Cited Paper: S. Yilmaz, Y. S. Tama, H. Bilgin, (2012), Seismic performance evaluation of unreinforced masonry school buildings in Turkey, Journal of Vibration and Control. Cited-4: FATIGUSO, F., DE FINO, M., & SCIOTI, A. (2017). Performance Assessment Of Italian School Heritage Architecture By Non-destructive Investigation. International Journal of Heritage Architecture, 1(4), 564-579. Cited-3: Bilgin, H., & Huta, E. (2016). Earthquake Performance Assessment of a Low-rise URM Building. 3rd International Balkans Conference on Challenges of Civil Engineering, 19-21 May 2016, Epoka University, Tirana, Albania. Cited-2: Gürbüz, A., & Tekin, M. (2015). Seismic Fragility Curves for 1 and 2 Stories R/C Buildings. International Journal of Engineering Technologies, IJET, 1(2), 88-94. Cited-1: H. Bilgin, O. Korini, (2012), Seismic capacity evaluation of unreinforced masonry residential buildings in Albania, Natural Hazards and Earth System Sciences, 12, 3753-3764. Cited Paper: H Bilgin, H Kaplan, S Yilmaz, (2008), Seismic Assessment of Existing RC Public Buildings in Turkey–An Overview with a Case Study, Intersections/Intersectii5:3. Cited-1: C Özgen, (2010), CAPACITY RELATED PROPERTIES AND ASSESSMENT OF SCHOOL BUILDINGS IN TURKEY, Master of Science in Civil Engineering Department, Middle East Technical University. Cited Paper: M. Inel, HB. Ozmen, H. Bilgin, (2009), SEMAp: Modelling and analyzing of confined and unconfined concrete sections. Scientific and Technical Research Council of Turkey under Project, Issue: 105M024. Cited-5: Ozmen H.B, Inel, M. (2016). “Damage Potential of earthquake records for RC building stock”. Earthquakes and Structures, An International Journal Volume. 10, No.6, pp.1315-1330 . DOI: http://dx.doi.org/10.12989/eas.2016.10.6.1315. Cited-4: Çırak İF, Kaplan H, Yılmaz S, Değirmenci ÖÇ, Çetinkaya N. A model for shear behavior of anchors in external shear walled frames. Res. Eng. Struct. Mat., 2015; 1: 53– 71. Cited-3: Yalciner, H., Sensoy, S., & Eren, O. (2015). Seismic Performance Assessment of a Corroded 50-Year-Old Reinforced Concrete Building. Journal of Structural Engineering, 05015001. Cited-2: Yalciner, H., Sensoy, S., & Eren, O. (2012). Time-dependent seismic performance assessment of a single-degree-of-freedom frame subject to corrosion. Engineering Failure Analysis, 19, 109-122. Cited-1: Yalçiner, H., & Marar, K. (2012). Seismic Performance Evaluation of Corroded Reinforced Concrete Structures by Using Default and User-Defined Plastic Hinge Properties. INTECH Open Access Publisher..
Cited Paper:M. İNEL, H. BİLGİN, H. B. ÖZMEN, (2008), Orta Yükseklikli Betonarme Binaların Türkiye’de Yaşanan Son Depremlerdeki Performansı, İMO TeknikDergi, 4319:4331, 284. Cited-2: FIRAT, F. K., & YÜCEMEN, M. S. (2014). Betonarme Yapı Elemanları için Güvenilirliğe Dayalı Yeni Yük ve Dayanım Katsayılarının Belirlenmesi. İMO Teknik Dergi, 6805(6829), 420. Cited-1: M. KAMANLI, H. H. KORKMAZ, F. S. BALIK, F. BAHADIR, (2011), SÜNEK OLMAYAN B/A ÇERÇEVELERİN, ÇELİK ÇAPRAZLARLA, B/A DOLGU DUVARLARLA ve ÇELİK LEVHALAR ile GÜÇLENDİRİLMESİ, 1. Türkiye Deprem Mühendisliği ve Sismoloji Konferansı, ODTÜ – ANKARA. Cited Paper: İ Mehmet, Bilgin,H. (2007), ORTA YÜKSEKLİKTEKİ BETONARME BİNALARIN DEPREM ERFORMANSLARININ AFET YÖNETMELİĞİNE, Vol:13, Issue 1, Pages 81-89, Pamukkale Üniversitesi Mühendislik Bilimleri Dergisi. Cited-5: DOĞAN, A., KARACA, N., & KARADENİZ, T. “ESKİ VE YENİ DEPREM YÖNETMELİĞİNE GÖRE YAPILMIŞ İKİ YAPIDA EK KAT İLAVESİNİN 2007 DEPREM YÖNETMELİĞİ İLE İRDELENMESİ.”4. Uluslararası Deprem Mühendisliği ve Sismoloji Konferansı 11-13 Ekim 2017 – ANADOLU ÜNİVERSİTESİ – ESKİŞEHİR. Cited-4: Ozmen, H. B., M. Inel, S. M. Senel, and A. H. Kayhan. “Structure-Concrete.”. (2015, March). Load carrying system characteristics of existing Turkish RC building stock. International Journal of Civil Engineering, Vol 13, No:1. Transaction A: Civil Engineering. Cited-3: GÖZAYDIN, O., & CAN, T. (2013). DEPREM YARDIM İSTASYONLARI İÇİN LOJİSTİK MERKEZİ SEÇİMİ: TÜRKİYE ÖRNEĞİ. Journal of Aeronautics & Space Technologies/Havacilik ve Uzay Teknolojileri Dergisi, 6(2). Cited-2: İNEL, M., ÖZMEN, H. B., & ÇAYCI, B. T. (2013). EVALUATION OF REASONS OF THE DAMAGES AFTER SIMAV AND VAN (2011) EARTHQUAKES.Pamukkale Univ Muh Bilim Derg. 2013; 19(6): 256-265 | DOI: 10.5505/pajes.2013.46036. Cited-1: İnel, M., Özmen, H. B., & Çaycı, B. T. (2013). Simav ve Van Depremleri (2011) Yapı Hasar Nedenlerinin Değerlendirilmesi. Pamukkale Üniversitesi Mühendislik Bilimleri Dergisi, 19(6), 256-265. Cited Paper: H. Bilgin, (2006), Mimar Sinan Yapilarinda Kubbeli Örtü Sistemlerinin Yapisal Analizi, J. Fac.Eng.Arch. Selcuk Univ. 21:3. Cited-4: Şişik, Ö. (2017). Edirne’de bulunan 15. yy ve 16. yy’da inşaa edilmiş tarihi cami ve türbelerin taşıyıcı sistem analizi ve çözüm önerileri (Doctoral dissertation, Selçuk Üniversitesi Fen Bilimleri Enstitüsü). Cited-3: Bilgin, H. (2015). Typological Classification of Churches Constructed During Post-Byzantine Period in Albania. GAZI UNIVERSITY JOURNAL OF SCIENCE Part B: ART, HUMANITIES, DESIGN AND PLANNING, 3(1), 1-15. Cited-2: Aslan, A. (2016). Süleymaniye Camii’nin yerel zemin koşullarına bağlı deprem performansının değerlendirilmesi (Doctoral dissertation). Cited-1: Y. P. MOSQUE, (2014), STRUCTURAL ANALYSIS OF CURRENT CONDITION OF KOSOVO YASHAR PASHA MOSQUE AND STRENGTHENING PROPOSALS, THE DEGREE OF THE MASTER OF SCIENCE IN RESTORATION IN ARCHITECTURE, Middle East Technical University. Cited Paper: Ozmen HB, Inel M, Bilgin H. “Effect of confined concrete behaviour on reinforced concrete sections and systems”, Journal of the Faculty of Engineering and Architecture of Gazi University, 2007, No. 2, Vol. 22, pp. 375-383. Cited-1: Ozmen, H. B., M. Inel, S. M. Senel, and A. H. Kayhan. “Structure-Concrete.”. (2015, March). Load carrying system characteristics of existing Turkish RC building stock. International Journal of Civil Engineering, Vol 13, No:1. Transaction A: Civil Engineering. Cited Paper: H. Bilgin, (2002), Geleneksel Mimaride Kubbeli Örtü Sistemlerinin Yapısal Davranışı, Balıkesir Üniversitesi Mühendislik-Mimarlık Fakültesi IV. Mühendislik Mimarlık Sempozyumu, Balıkesir, Türkiye. Cited-1: Bilgin, H., & Tarihi, M. G. (2006). Mimar Sinan Yapilarinda Kubbeli Örtü Sistemlerinin Yapisal Analizi. J. Fac. Eng. Arch. Selcuk Univ, 21(3-4). Cited Paper: Kaplan, H., Bilgin, H., Binici, H., Yilmaz, S., and Öztaş, A. (2010) “Performance of masonry structures during the 2009 L’Aquila (Italy) earthquake”, 8th International Masonry Conference 2010 in Dresden, IMS, 04-07 July 2010, TU Dresden, Dresden, Germany. 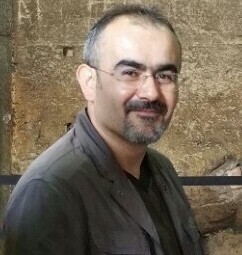 Cited-1: Öztaş, A., Ali, A. L. B. H., Ibrahim, A. L. I., & Ahmad, A. L. T. (2018). Darbandikan Earthquake Investigation Report..
Cited Paper: BİLGİN , H. (2015). Typological Classification of Churches Constructed During Post Byzantine Period in Albania. Gazi University Journal of Science, Part B: Humanities, Design, And Planning, 1-15. Cited-1: Nelson, F. R. (2016). Study of spatial organization of the contemporary churches in Bangladesh, (Master of Architecture). Nov, 2016; Bangladesh University of Engineering and Technology, Dhaka, Bangladesh. Cited Paper: Bilgin, H. (2015). Seismic performance evaluation of an existing school building in Turkey. Challenge Journal of Structural Mechanics, 1(4), 161-167. Cited-1: Bhosale, A. S., Davis, R., & Sarkar, P. (2018). Seismic Safety of Vertically Irregular Buildings: Performance of Existing Indicators. Journal of Architectural Engineering, 24(3), 04018013. Cited-2: 陳清山. (2017). 以人工智慧理論探討臺中市中小學校舍耐震因子及耐震能力(To Interpret the Seismic Factors and Seismic Abilities of School Buildings in Taichung City using Artificial Intelligent Theories). 建築學報, (100), 95-116. Cited-3: Bhosale, A. S., Davis, R., & Sarkar, P. (2017). Vertical Irregularity of Buildings: Regularity Index versus Seismic Risk. ASCE-ASME Journal of Risk and Uncertainty in Engineering Systems, Part A: Civil Engineering, 3(3), 04017001. Cited-4: Lai, W., Wei, X., Ning-ning, F., Shuping, C., Feng, L., & Qiumei, G. (2016). Research on Seismic Performance of Reinforced Concrete Frame with Unequal Span Under Low Cyclic Reversed Loading. The Open Civil Engineering Journal, 10(1). Cited-5: Ergün, A., Kıraç, N., & Başaran, V. (2015). The evaluation of structural properties of reinforced concrete building designed according to pre-modern code considering seismic performance. Engineering Failure Analysis, 58, 184-191. Cited Paper: Inel, M., Ozmen, H.B. and Bilgin, H. (2007), “Modelling non-linear behavior of reinforced concrete members ”, Proceedings of the 6th National Conference on Earthquake Engineering, Vol II: 207-216, İstanbul. Cited-1: Ozmen H.B, Inel, M. (2016). “Damage Potential of earthquake records for RC building stock”. Earthquakes and Structures, An International Journal Volume. 10, No.6, pp.1315-1330 . DOI: http://dx.doi.org/10.12989/eas.2016.10.6.1315. Cited-2: Ozmen H.B, (2016). “Assessment of damage potential of ground motion records for RC buildings”. CEN Internationalonal Conference on Engineering and Natural Science, At Sarejevo, May 2016. Cited Paper: Bilgin, H. (2015). “Generation of Fragility Curves for Typical RC Health Care Facilities: Emphasis on Hospitals in Turkey.” J. Perform. Constr. Facil., 10.1061/(ASCE)CF.1943-5509.0000806, 04015056. Cited-6: Bilgin, H., & Huta, E. (2018). Earthquake performance assessment of low and mid-rise buildings: Emphasis on URM buildings in Albania. EARTHQUAKES AND STRUCTURES, 14(6), 599-614. Cited-5: Çiftçi, Z., Kara, F. İ., & Fahjan, Y. M. (2018). Orta yükseklikteki hasar görmüş betonarme bir binanın hasargörebilirliğinin incelenmesi. Journal of the Faculty of Engineering & Architecture of Gazi University, (2018). Cited-4: Bilgin, H. & Frangu, I. Int J Adv Struct Eng (2017). https://doi.org/10.1007/s40091-017-0164-y. Cited-3: Huang, B., Chen, S., Lu, W., & Mosalam, K. M. (2017). Seismic demand and experimental evaluation of the nonstructural building curtain wall: A review. Soil Dynamics and Earthquake Engineering, 100, 16-33. Cited-2: Ozmen H.B, Inel, M. (2016). “Damage Potential of earthquake records for RC building stock”. Earthquakes and Structures, An International Journal Volume. 10, No.6, pp.1315-1330 . DOI: http://dx.doi.org/10.12989/eas.2016.10.6.1315. Cited-1: Ozmen H.B, (2016). “Assessment of damage potential of ground motion records for RC buildings”. CEN Internationalonal Conference on Engineering and Natural Science, At Sarejevo, May 2016. Cited-68: KORKMAZ, H. H. (2018). OVERHANGS IN STRUCTURAL SYSTEMS AND EARTHQUAKE BEHAVIOUR FROM TORSIONAL IRREGULARITY POINT OF VIEW. Selçuk Üniversitesi Mühendislik, Bilim ve Teknoloji Dergisi, 6(3), 406-416.